“Splinterella” was our nickname for this mannequin project co-op with designer Lew Gallo. 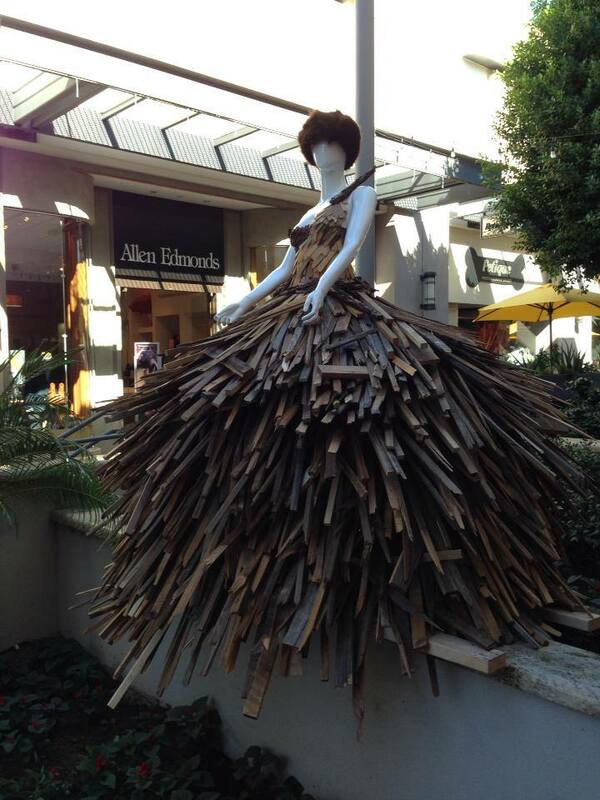 This was a special project for the Biltmore Fashion Park. the materials are reclaimed wood cutoffs from our shop that were fashioned into a dress. This sculpture was visible for a season and then made its way to our Porter Barn Wood lot until the monsoons had its way with her eventually.